Our Cat5e cable will fulfill all your bulk, heavy-duty cabling needs and comes on a spool that keeps the cable organized and tangle-free. This 1,000-foot Cat5e CMX-rated Ethernet cable's conductors consist of 24 AWG solid bare copper for premium conductivity. 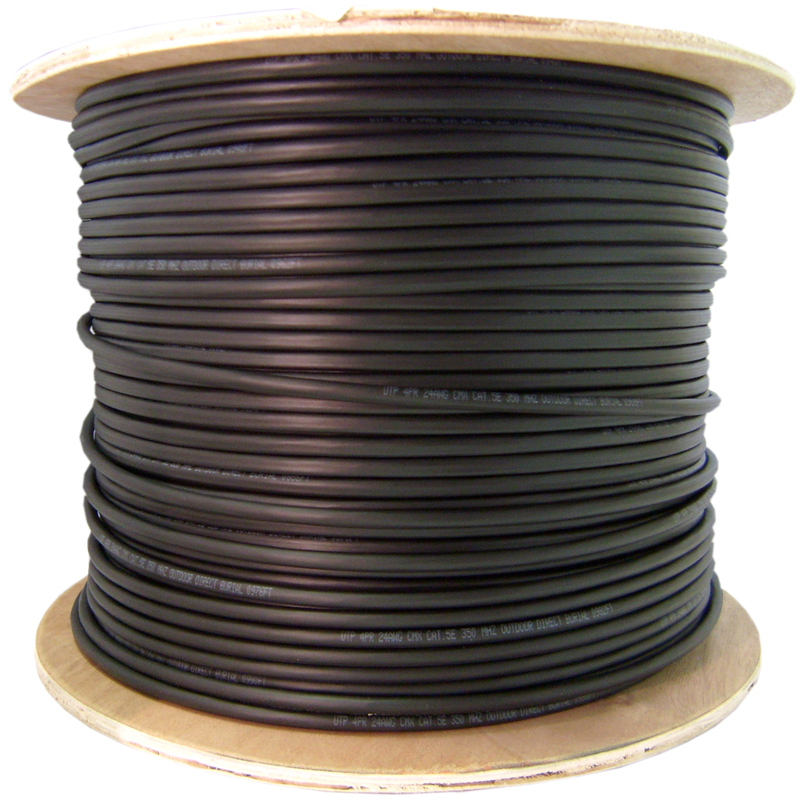 This premium solid cable is ideal for permanent outdoor/direct burial network runs and features a gel filling which prevents detrimental water intrusion into the individual conductors. This Cat5e Ethernet cable provides high-performance networking connections for any installation or expansion of your network's fundamentally important infrastructure and comes with a lifetime warranty. New product, is as specified. Pulled through a conduit. Worked as advertised. Exactly as promised. Tested out clean. Speeds exactly where they were expected to be. Lots of meters with no or as good as no gel at all, and some pieces of cable, there is no black cover.